Destin, FL is a city of sand and shores. This beautiful coastal town is both an ideal vacation spot, and a scenic place to call home. Whether you’re a full-time resident, summer resider, or an avid vacationer to Destin, you know the relaxing beauty of this city can cast a spell over all of it’s visitors. Destin, located on the Gulf of Mexico, is a city with mesmerizing qualities. However, no matter how scenic and soothing it’s beaches may be, residents and vacationers always run the risk of personal injuries. At Link & Smith P.C., we are dedicated to serving cities all over the Southeast. We serve clients in Alabama, Florida, and Georgia, yet no matter how far reaching our practice is, we are still dedicated to giving our clients the individual attention they need. If you’re a resident of a coastal city, you most likely spend a significant amount of time on the water. As much as we realize the pleasures of fishing, boating, surfing, and jet-skiing, we also know that these pastimes have their fare share of risks. That’s why we specialize in boating and jet-ski accidents. Our attorneys are veteran trail lawyers, who exclusively handle personal injury law. We do no handle any other areas of law such as criminal law, trusts and estates, family law, or corporate law. Our firm is dedicated to representing persons who have been injured due to the negligence of others, and we strive to help our clients get the justice they deserve! Our attorneys also have over 40 years of combined experience in the field of personal injury law, meaning that we have both the knowledge and the expertise to achieve success in the courtroom. More importantly, we have a history of successful case results, helping our clients receive some settlements worth upwards of $40 million. 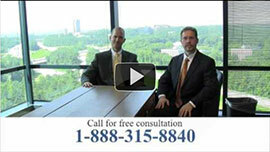 Our attorneys also work exclusively on a contingency basis. This means that you will pay no up front fees, and we will only be compensated after you have received the maximum monetary case results. Our attorneys also handle claims involving auto-accidents, motorcycle accidents, tractor trailer accidents, and DUI victim representation. Most importantly, we pride ourselves on being the accessible lawyers. When you call our offices, you will speak directly to an individual, not simply an automated voice machine. We offer complementary consultations for our clients. A complementary consultation with a Link & Smith P.C. attorney means a face-to-face conversation where we will evaluate your claim, paying special attention to your individual needs. If you’ve suffered a personal injury involving any sort of accident resulting from the negligence of others, call the personal injury attorneys who strongly believe that serious injuries deserve superior results! For a complementary consultation with one of our experienced attorneys, call the law firm of Link & Smith P.C. at 850-999-0996.